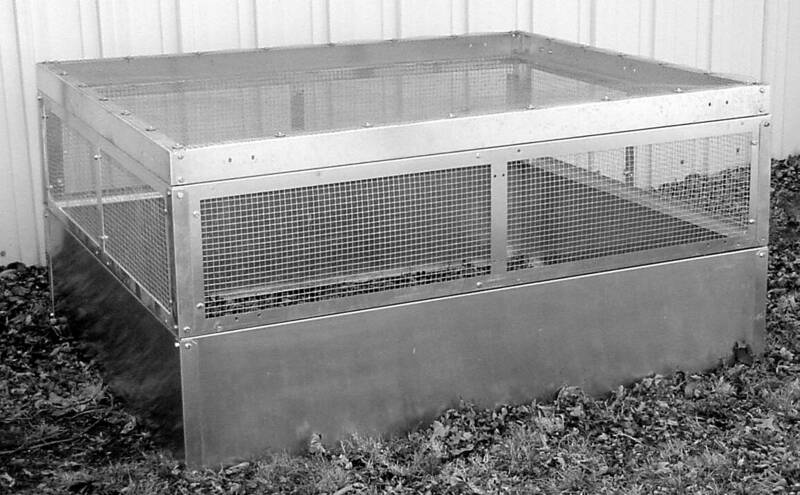 This option to our regular planting bin protects your vegetables, flowers or herbs from rabbits, deer or other animals . Constructed of aluminum and galvanized hardware cloth. Lid to protect from above. Removable if large animal protection is not needed. Shown on Easy-Garden Basic unit or can be placed over conventional garden or wooden raised bed. Holes provided for staking to conventional ground garden or attaching to a wooden raised bed.